First select a planter that is at least 2 sizes larger than the current pot being used. The transplanting process is not easy on the plants health so you don't want to do it more than necessary. 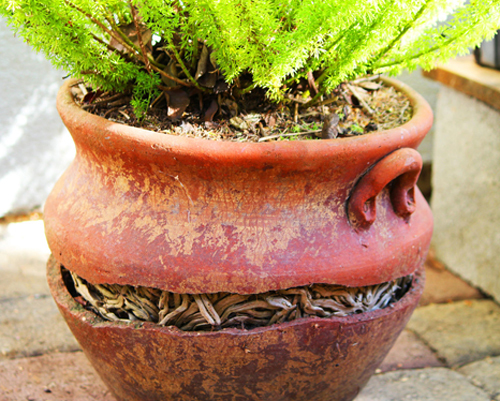 Use a new clean flower pot or one that has been cleaned and completely dried. Then start with fresh potting soil. Do NOT use dirt out of the ground or old soil that is depleted of all nutrients. Make sure that the pot has a drain hole so that the roots do not sit in standing water. There is nothing that will rot your roots faster. Fill the new pot half way with the potting soil. Carefully remove the plant from the pot. 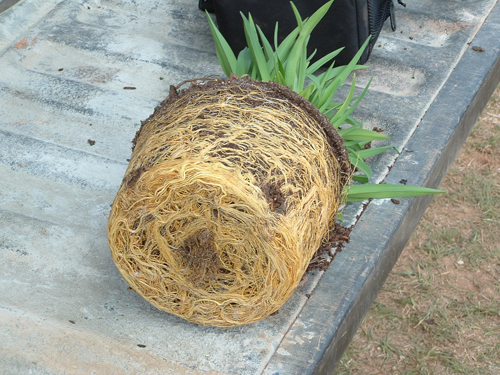 Gently loosen the roots from the bound ball they are compacted in. Center the plant in the new soil and spread out the roots gently. Then add more soil to fill. Company carefully. Water lightly because you want the roots to rest for a day or two before they have to start working again. After a couple of days water to moisten the soil completely. You would be good to go for at least a couple of years or more. A lot will depend on the type of plant you have and how fast it grows. Read more.....3 Plants that repel mosquitoes.